Temperatures in NYC have finally risen persistently above freezing, and the ice and snow are starting to melt. 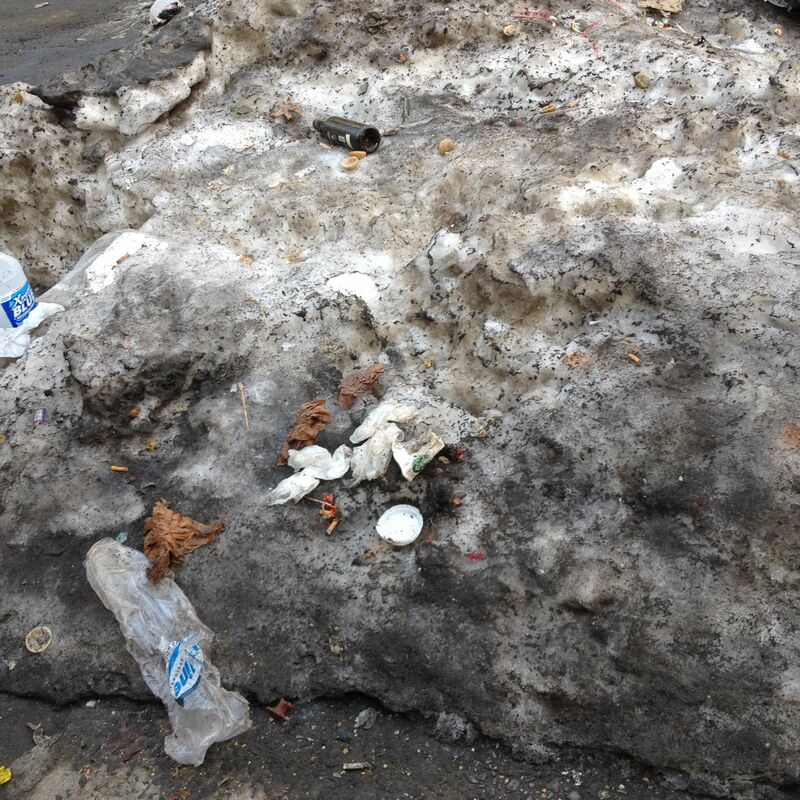 In NYC one of the consequences of this is that all the garbage that was buried by the snow comes to the surface. The streets haven’t really been cleaned in weeks to months, and they are a mess. It reminds me a bit of other things revealed by melting ice. Like Captain America in the movie… or, ok, if we want to be more real life-based, like Oetzi, the “iceman”, found in 1991 in the Alps between Austria and Italy. He was frozen 5000 years ago, and then unfrozen as the glacier he was in melted due to whatever combination of natural climate variability and anthropogenic warming. A little less scientifically important than Oetzi, but still, recent history (of a New York City sidewalk) preserved in ice and then revealed. Of course, the most important artistic comment on this particular phenomenon is this.